Rex Tillerson may be gone, but he hasn’t forgotten. 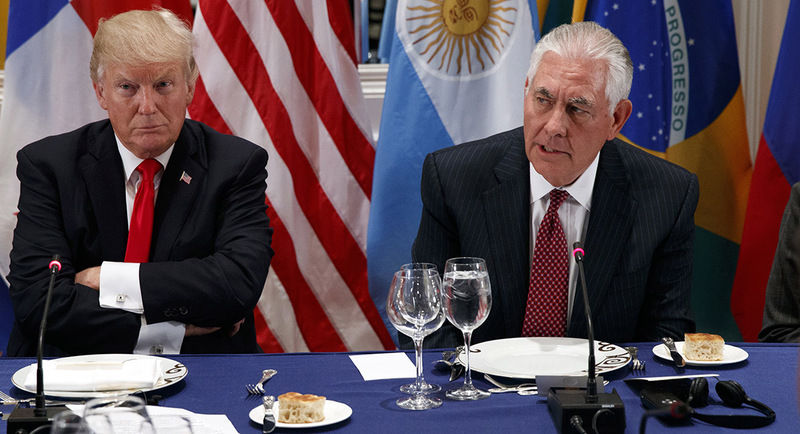 You may remember that Tillerson was removed as Secretary of State by President Donald Trumpafter a remarkably tempestuous year in office — a period of time during which relations between the two men grew badly strained. Things were never really the same after reports surfaced last fall that Tillerson had called Trump a “moron” in a Pentagon meeting in the summer of 2017. Tillerson didn’t deny using that word, although he sought to shame the press for even covering it. Which means, of course, that he said it. Then there was the time when Tillerson directly refused to provide Trump cover following the President’s “both sides” comments about the white nationalist violence in Charlottesville, Virginia. “The President speaks for himself,” Tillerson remarked at the time. 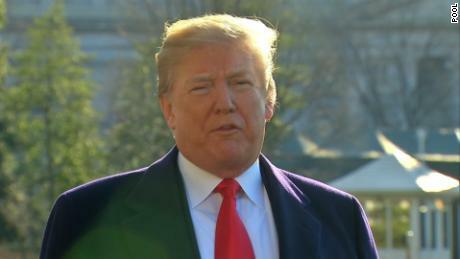 You may also remember that President Trump said more than 3,000 things that were either misleading or totally false during his first year in office — a rate of more than six mistruths a day, according to the Washington Post. Or that Trump administration senior counselor Kellyanne Conway famously/infamously coined the phrase “alternative facts” to explain away Trump’s false claims about the size of his inauguration crowd. Now. Tillerson and his people will helpfully note that he never mentioned Trump’s name in the speech, and that the address was meant as a broad call to fight for truth rather than a narrowly cast shot at the President of the United States. It is impossible to read that paragraph and not have the image of Donald Trump conjured up in your mind. Im-possible. That’s just want Tillerson wanted — and yet more proof that revenge is a dish best served cold. 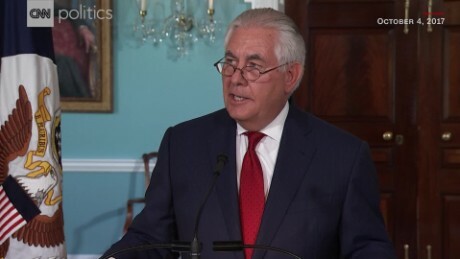 (CNN) President Donald Trump announced Tuesday that he has fired Secretary of State Rex Tillerson and will nominate CIA Director Mike Pompeo to succeed him, replacing his top diplomat ahead of a potential high-stakes sitdown between the US President and North Korean leader Kim Jong Un. Trump “thought it was the right time for the transition with the upcoming North Korea talks and various trade negotiations,” a senior administration official said, adding that Trump asked Tillerson to step aside on Friday. 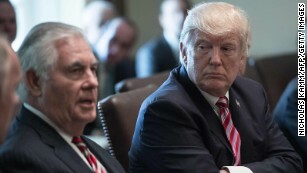 Trump’s anger at Tillerson after it leaked last year that his secretary of state called him “a moron”never subsided, and many in the White House saw their differences as irreconcilable. Tillerson had few, if any, allies in the West Wing. Though chief of staff John Kelly was initially on his side when he took over, he eventually grew weary of defending him — especially after the “moron” remark, which Kelly saw as insubordination on Tillerson’s part. Trump and his top aides have spent recent days attempting to quell talk of a White House in chaos, with the President tweeting earlier this month that there was “no Chaos, only great Energy” in the White House. But five top Trump administration officials — ranging from communications professionals to Tillerson — have resigned or been fired in the last two weeks. The lawmaker, Sen. Bob Corker, the Tennessee Republican who chairs the Senate Foreign Relations committee, told The Washington Post last fall that Trump repeatedly neutered Tillerson with tweets that undermined or flatly contradicted policies he was pursuing. That, Corker said, shut down options for the US and damaged Tillerson’s efforts to peacefully resolve tensions with North Korea. Kelly, a retired four-star Marine general who was once Tillerson’s fiercest defender in the West Wing, stopped defending him privately, fed up with the moron remark because he saw it as insubordination. As one official described it, he has grown weary of trying to defend the indefensible. Tillerson started the job diverging with Trump on any number of issues, from trade, climate change, Russian interference in the election and Iran policy. And he encountered headwinds from the President who publicly contradicted or undermined his policies on using diplomacy to defuse tensions with North Korea, and on resolving a dispute between Gulf allies and a host of other issues. “Trump has consistently undermined — even humiliated — his top diplomat” on issues that ranged from tensions among Persian Gulf allies to handling North Korea, said Aaron David Miller, a vice president at the Wilson Center, and Richard Sokolsky, a senior fellow at the Carnegie Endowment for International Peace, in an opinion piece for CNN. CNN’s Boris Sanchez and Michelle Kosinski contributed to this report. Mr. Trump also said that Mr. Corker had asked to be secretary of state. “I said ‘NO THANKS,’” Mr. Trump wrote. The Tennessee senator has been a favorite target of Mr. Trump’s for months, after the senator, who was once a campaign supporter, became increasingly critical of Mr. Trump’s performance in the White House. Mr. Trump’s feud with Mr. Corker is particularly perilous given that the president has little margin for error as he tries to pass an overhaul of the tax code — his best hope of producing a major legislative achievement in the coming months. If Senate Democrats end up unified in opposition to the promised tax bill, Mr. Trump would be able to lose the support of only two of the Senate’s 52 Republicans in order to pass it. That is the same challenging math that Mr. Trump and Senate Republican leaders faced in their failed effort to repeal and replace the Affordable Care Act. Mr. Corker, who is outspoken about the nation’s mounting debt, has already signaled deep reservations about the Republican effort to pass a tax overhaul, saying he would not vote for a tax bill that adds to the deficit. 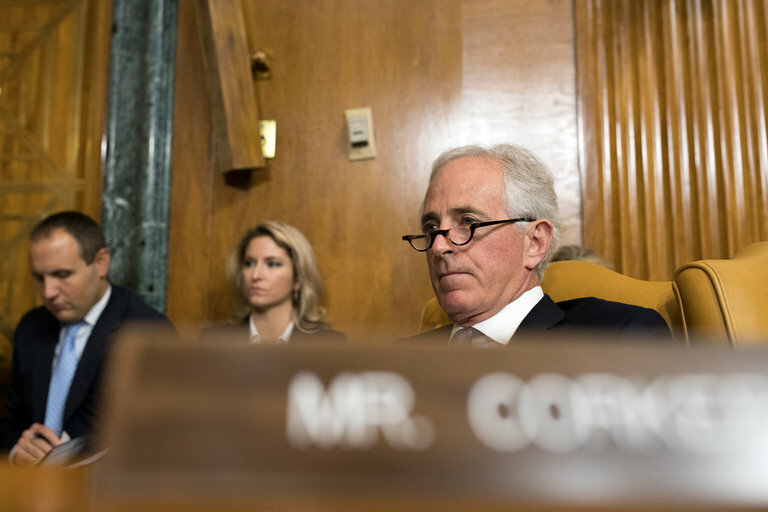 In addition, Mr. Corker, who leads the Senate Foreign Relations Committee, could play a key role if Mr. Trump follows through on his threat to “decertify” the Iran nuclear deal, kicking to Congress the issue of whether to restore sanctions on Tehran and effectively scuttle the pact. In our combined 50-plus years at the State Department, neither of us ever witnessed as profound a humiliation as a sitting president handed his secretary of state Sunday morning. Even if they’re playing good cop-bad cop, this is a shocker: Donald Trump is basically announcing that any negotiations with North Korea are worthless. This not only undercut Tillerson personally, but also undermines U.S. interests and the secretary of state’s sensible decision to talk to the North Korean regime. To make matters worse, all of this is occurring while Tillerson is in Beijing to prepare for the president’s trip to China next month—so the president kneecapped his own top diplomat in front of America’s chief rival in Asia. Is this the final straw for Tillerson? The secretary of state clearly has not helped himself. Through his budget cuts, his focus on departmental reorganization at the expense of appointing assistant secretaries, his reliance on a tiny inner circle of outsiders and his maladroit use of the press, Tillerson has isolated himself within his own department. The Beltway foreign policy blob has already written him off as the worst secretary of state in history, and clearly others are hovering (U.N. ambassador Nikki Haley says she doesn’t want the job, but if you believe that, or if John Bolton make similar protestations, we have an Israeli-Palestinian peace deal to sell you). But in all fairness, the former ExxonMobil chief has never been empowered by his president. He’s been undercut repeatedly by this White House—see Kushner, Jared—and by Trump personally, even (especially) when he’s making the right diplomatic moves. And there’s no sign that any one of the vultures circling around Tillerson would be able to change or transcend this dynamic. There are many peculiarities about how foreign policy is made (or not) in the Trump administration. Trump is the first president in our memory who has not at least gone through the motions of making it clear that his secretary of state is the sole repository of authority and the administration’s public voice on foreign policy. Not every secretary of state carries the same influence with the president. But never have the world and Washington faced a situation where there was no single go-to address (below the president, of course) to understand what U.S. foreign policy is, who’s articulating it and who to turn to for guidance or direction in trying to interpret it. In Trump land, either by design or default, a cacophony of multiple voices are not just competing for the president’s time, attention and favor in private (which is very normal)—they’re actually carrying out the policy and shaping it publicly (which is not so normal). Kushner, for instance, grabbed or was given the primary lead on the Arab-Israeli issue and has played a major role in shaping U.S. interactions with China and Saudi Arabia. Gary Cohn seems to have the lead on Trump’s climate policy, such as it is. Wilbur Ross is playing an unusually substantive diplomatic role for a commerce secretary. Foreign capitals listen closely to Pentagon chief James Mattis, whose pronouncements are often interpreted as brushbacks of the president. And over at the U.N., the hawkish Haley has emerged as the nation’s loudest voice on foreign policy, largely by speaking unscripted about everything from Syria to Iran to North Korea. And then of course there’s Trump, the ultimate blooming flower who in tweets, phone calls and speeches makes his own foreign policy on the fly, frustrating and confounding his top advisers. On issues from Qatar to North Korea to Iran, Trump contradicts his own secretary of state or ignores what is almost always his sound advice—for example: urging the United States to stay in the Trans-Pacific Partnership and the Paris climate accord, taking a hard-line on Russia, advocating negotiations and dialogue to defuse the mounting crisis with North Korea, advocating for continued U.S. adherence to the Iran nuclear deal, taking a neutral position in the dispute between Qatar and Saudi Arabia, and reassuring jittery allies, from South Korea and Japan to our NATO partners, that America still has their back. The painful reality is that should Tillerson depart, his successor would likely confront the same series of problems, and a president who is unwilling to send a clear signal on where his secretary of state stands in the foreign policy pecking order. There are three keys to success for a secretary of state: opportunities abroad to exploit; the negotiating and political skills to do it; and, most important, the backing of the president. Sure, Tillerson has made some rookie mistakes and unforced errors in running the State Department. But his credibility and effectiveness have largely been undermined by his treatment by Trump. No matter how capable a secretary of state may be, success also turns on a cooperative world. Without the 1973 Arab-Israeli war, there would have been no opportunity for Henry Kissinger to demonstrate his formidable mediation skills and to produce three disengagement agreements within 18 months. Had Iraq not invaded Kuwait, James Baker would have been deprived of the opportunity to pull off the Madrid peace conference. 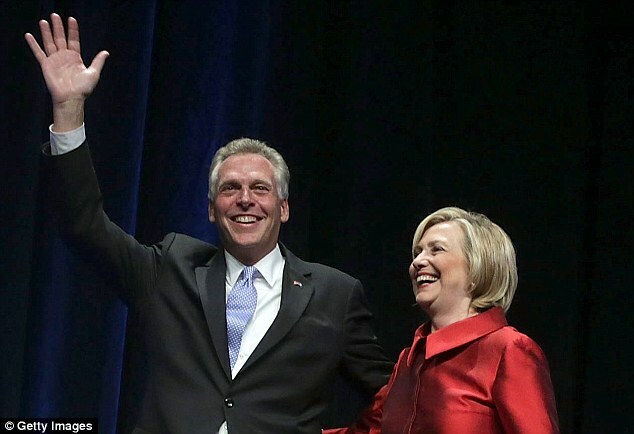 Sure, secretaries of state can make some of their own luck. But the truly big diplomatic breakthroughs really do require consequential changes in the neighborhood first; then, a talented negotiator backed by a willful president can exploit them. Sadly, the world in which America operates today has many serious problems, but almost none that offer opportunities for transformative or heroic outcomes. Even successful transactional outcomes, such as managing the Iranian nuclear issue, seem improbable. The cruel reality is that Tillerson has inherited a set of extraordinarily difficult problems that can only be managed and not solved. Just as Tillerson has reportedly come to hate his job, his successor would come to see going to the office—or the White House—the same way most people feel about a trip to the dentist. 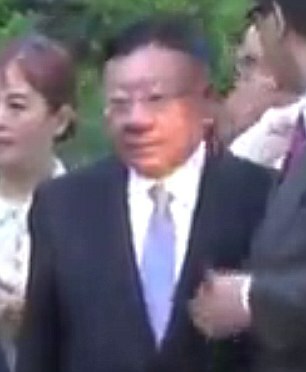 Take a look around: From North Korea, where only somebody completely unhinged from reality would be talking about military options and denuclearization of Kim Jong Un’s regime; to managing an aggressive and crafty Vladimir Putin with a president who either has a blind spot for or is beholden to Russia; to an Israeli-Palestinian conflict trapped between a two-state solution too important to abandon but too hard to implement and a clueless president who likens a deal to buying and selling real estate in New York City; to a divided Europe that finds Trump mercurial, erratic and incomprehensible (and that’s on a good day); to an Iran that is expanding its influence in the Middle East and sitting atop a potential nuclear program one screwdriver’s turn away from a weapon while the president seems bent on making this problem infinitely worse. These are forbidding challenges. Even if you had a secretary of state in a class of a Kissinger or a Baker, we’re far from certain the outcomes of any of these problems could be shaped in a way that were determinative, let alone favorable to the United States. We don’t have a secretary of state of this caliber, and we’re not going to get one if Tillerson leaves. What we do have is a president who has compounded the degree of difficulty of even managing these issues and created longer odds for whoever sits on the seventh floor at Foggy Bottom. Those who are calling for Tillerson’s scalp miss another important point: The State Department, institutionally, is only a shell of its former self, and it’s not just because a few good men and women have bolted over the secretary’s reform and reorganization plans. The problems run much deeper than what the department’s org chart looks like. Over the past couple of decades, dozens of missions and authorities have steadily migrated from State to other agencies of the federal government, or disbanded altogether; at one time, the department housed the U.S. Information Agency, the foreign agricultural service and the foreign commercial service. More recently, the Defense Department has been given increased authorities—to go along with its massive resources, which State cannot match—to run its own security assistance programs, seriously encroaching on State’s statutory authorities for controlling the allocation of resources to help other countries train and equip their forces. Adding to the loss of the department’s clout has been the Balkanization of U.S. foreign assistance, as more and more domestic agencies run their own boutique foreign aid programs. Whether Tillerson stays or goes, these missions, authorities and programs are long gone—and they ain’t coming back. Even more importantly, the State Department is no longer primus inter pares in the foreign policy and national security cosmos, and it has been this way for some time. 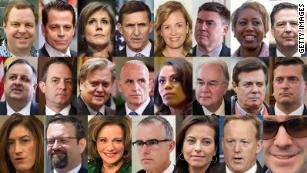 No matter who is in the Oval Office, the National Security Council staff and the president’s national security adviser now run all the most sensitive foreign policy issues out of the White House. Foreign economic and foreign trade policy, though larded with foreign policy implications, are also managed either out of the White House, in the Treasury Department or elsewhere. Mattis and the Pentagon are the big dog on the block, running three major wars and a host of lesser military operations with a budget that makes State’s puny appropriations look like chump change. The war on terror, the preoccupation with homeland security and keeping out what the White House considers undesirables, and the need for actionable intelligence to prosecute all these enterprises has moved DHS and the intelligence community toward the top of the national security food chain. And above all this sits a president who has shown nothing but contempt and lack of understanding for the State Department, its mission and the dedicated men and women who work there. 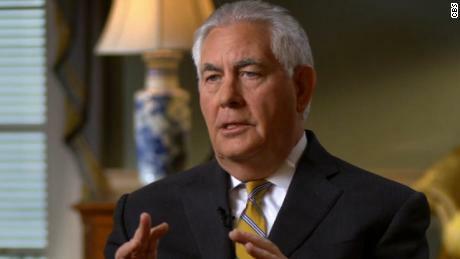 So, belittle poor Secretary Tillerson if you must; close your eyes and make a wish that after T. Rex we’ll get another secretary who has the vision of Dean Acheson, the toughness of George Shultz, the diplomatic panache of Kissinger or the political and tactical instincts of Baker. But it’s magical thinking to believe that Tillerson’s successor could fundamentally alter the downward trajectory of the State Department or do much more to fix the world’s problems. As long as Donald Trump is president, more likely than not, the Department of State is going to remain closed for the season. Richard Sokolsky is a senior fellow at the Carnegie Endowment for International Peace and a former member of the Secretary of State’s Office of Policy Planning. Susan Bordo, a Pulitzer Prize nominee and feminist literary critic, interrogates the American media and political discourse in her new book, “The Destruction of Hillary Clinton,” with the hope of discovering how and why the flawed but largely noble political figure became the subject of such widespread scorn that survey respondents have consistently found her “less trustworthy” than her 2016 opponent, Donald Trump, a compulsive liar and snake oil-soaked con man. In the 1990s, Bordo reminds readers, commentators objected to Clinton, calling her “Lady Macbeth of Little Rock” and an “aspiring philosopher queen.” Critics abhorred her radical feminism, believing she was an unsympathetic moralist. In 2016 she was cartoonishly amoral. 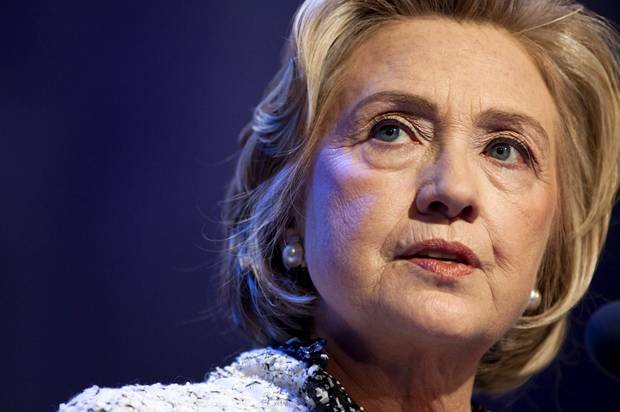 For the far left or hard right, she didn’t seem to possess any redeeming virtues and appeared to be a self-serving elitist who counted “Clinton cash,” to quote the title of a best-selling book, while watching Americans die in Benghazi and her Wall Street friends liquidate middle class wealth. Many Americans, committed to nothing but blindness, still insist that sexism played no role in the outcome of the 2016 presidential race. That’s even with the knowledge that 13 women accused Donald Trump of sexual harassment and assault, after leaked footage of his boasts of similar criminal behavior, failed to resonate with the same power as questions surrounding Clinton’s email decisions and habits as secretary of state. Various members of the media contributed to the destruction. Bordo makes the most of a Harvard University study of the primary showing that even aside from the email “scandal,” 84 percent of the television news coverage of the Clinton campaign was negative, compared with 43 percent for Trump’s and 17 percent for Sanders’. The existence of Hillary Clinton is objectionable to many Americans. In a strange and self-serving review of “The Destruction of Hillary Clinton,” Sarah Jones, the social media editor at the New Republic, accuses Susan Borno of “canonizing and infantilizing” Clinton before mawkishly defending millennials who refused to support the Democratic nominee for president. It is on the matter of accountability for the suicidal populism of the American people that Bordo also fails. The entire time I spent reading “The Destruction of Hillary Clinton,” I kept asking, but why? Why did so many people — especially men — believe all the smears and fall for all the tricks against Clinton? The power of propaganda is awe-inspiring, and the influence of the mediocre mass media is immeasurable, but there are flaws of character and intelligence among large swaths of the general public rendering people susceptible to the allure of pseudo-event reporting. David Masciotra is the author of “Mellencamp: American Troubadour” (University of Kentucky Press), and is currently at work on a collection of personal essays for Agate Publishing. Donald Trump’s new administration understands the need to deal with Russia in a “very guarded way”, Foreign Secretary Boris Johnson has said. Following his first meeting with US secretary of state Rex Tillerson during the G20 summit in Germany, Mr Johnson, referring to Russia, said “you’ve got to beware of what they are up to”. Neither side wants to see a return to the days of the Cold War, he said. 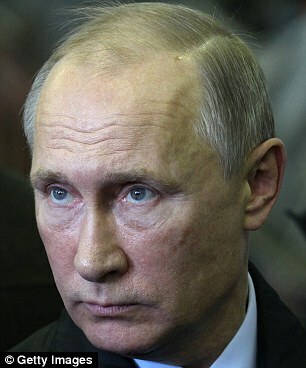 But Moscow’s current behaviour cannot be allowed to continue, he added. 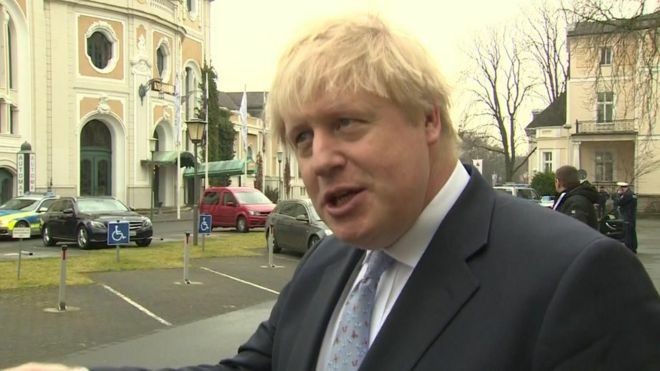 Mr Johnson’s comments come amid intense scrutiny in the US of the administration’s attitude to Russia following the resignation of national security adviser Michael Flynn over his contacts with the Russian ambassador to the US before Mr Trump’s inauguration last month. Mr Johnson told the BBC: “I think Rex Tillerson is absolutely clear in his view, which is the same as mine. You have got to engage with Russia, but you have got to engage in a very guarded way. You have got to beware of what they are up to. “There is no question that, when you look at Russian activity on the cyber front, when you look at what they are doing in the western Balkans, when you look at what has been happening in the Ukraine, you’ve got to be very, very cautious. “I think it is entirely right to have a dual track approach. 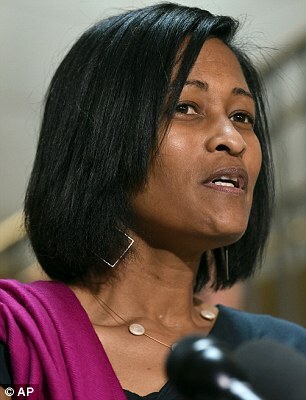 The memo was written by Bill Clinton’s longtime aide, Doug Band, and is among tens of thousands of emails apparently stolen from Hillary Clinton’s campaign chief, John Podesta, in what U.S. officials believe is part of a massive Russian-backed attempt to disrupt the U.S. election. 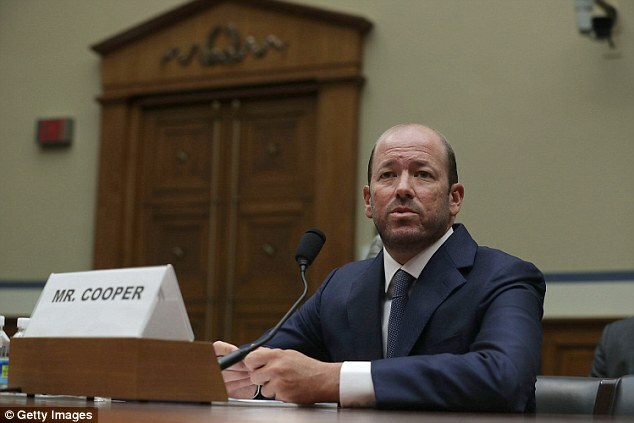 The Band memo came in response to an investigation undertaken by a law firm, Simpson Thatcher, into the activities of the Clinton Foundation at the behest of its board. The board was concerned that some of the activities undertaken by Band and others on behalf of the President could threaten the Foundation’s IRS status as a charity, according to Band’s memo. 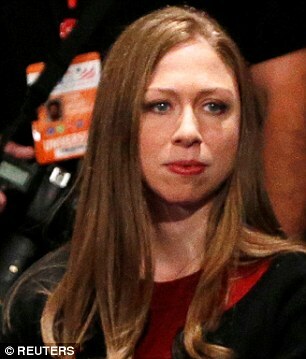 Chelsea Clinton had also reported concerns to Podesta and other Clinton adviser’s that Band and his recently launched consulting firm, Teneo, were using her father’s name without his knowledge to contact British lawmakers for clients, including Dow Chemical. Band mentions four such “arrangements” without naming them. Bill Clinton was paid nearly $18 million to be “honorary chancellor” of a for-profit college, Laureate International Universities, according to reports and the family’s tax returns. A Dubai-based firm, GEMS Education, paid Bill Clinton more than $560,000 in 2015, according to the tax returns. Band also lists a variety of speaking fees, previously disclosed by the Clinton’s, including hundreds of thousands of dollars each from UBS, Ericsson, BHP and Barclays. In 2011 alone, according to the Clinton’s tax returns, Bill Clinton earned $13,454,000 in speaking fees. 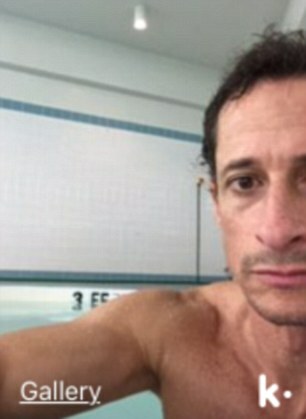 No evidence has been found to support allegations of a quid pro quo of official acts by Hillary Clinton as senator or Secretary of State in exchange for the money received by the Clinton’s or the Clinton Foundation. However the messiness and opacity of the relationship between Clinton’s personal, business and philanthropic undertakings detailed in the memo raises new questions about Bill Clinton’s activity. 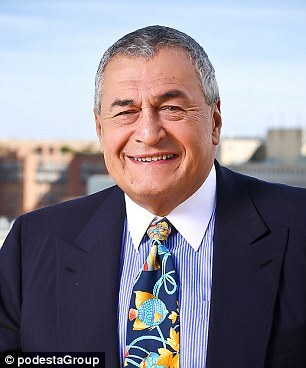 In the email to which Band’s draft memo was attached, Band tells Podesta he has removed the “lasry section all together.” Marc Lasry is a hedge fund manager and Clinton donor who funded an unsuccessful investment vehicle launched by Chelsea Clinton’s husband Marc Mezvinsky. 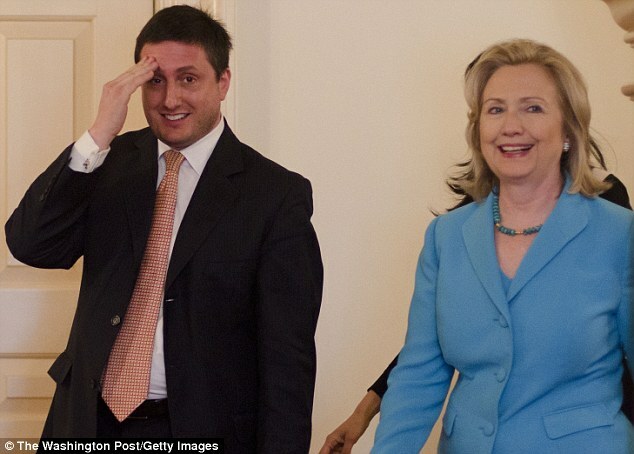 Calls and emails to Band, Teneo and the Clinton Foundation were not immediately returned. The Hillary Clinton campaign declined to confirm that the memo, or other emails released by Wikileaks, are in fact un-doctored documents stolen from Podesta’s personal email account. However a campaign spokesperson, Glen Caplin, tweeted on Wednesday that Wikileaks was advancing a “clear political agenda” by “dribbling out” Podesta’s emails. “If Podesta dump was about high-minded transparency @wikileaks would release all at once,” Carlin tweeted. 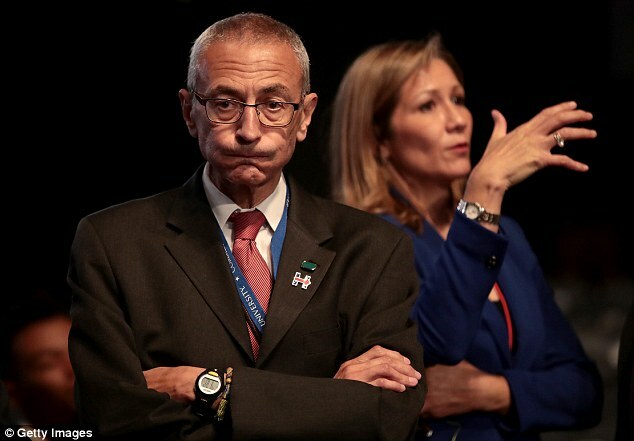 Podesta has said he is cooperating with the FBI in an investigation of the hack. The Clinton Foundation has said it will stop accepting foreign and corporate donations if Hillary Clinton is elected president.